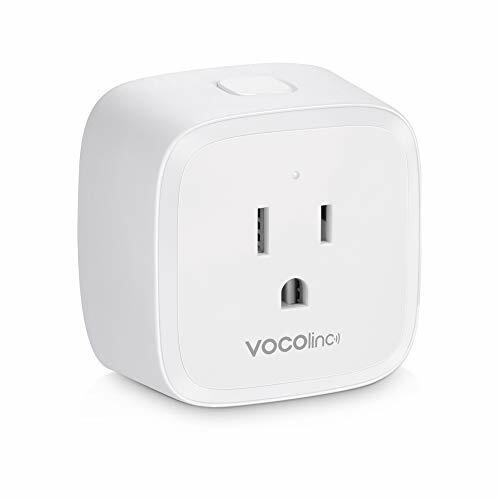 Using the VOCOlinc PM1 Smart Wi-Fi Outlet is a cost-effective way to automate your home. You can control devices in any room with your voice by asking Siri, Alexa or Google. The built-in power meter allows you to track power consumption of a specific device on the LinkWise app. With an adjustable LED night light, you can move through dark areas with ease and comfort. Seamlessly control all your devices just by connecting them to your 2.4GHz Wi-Fi network. No need to purchase a central hub. Sync with Siri, Alexa or Google to control your devices from anywhere in your home. It's as easy as saying, "Alexa, turn on bedroom light."